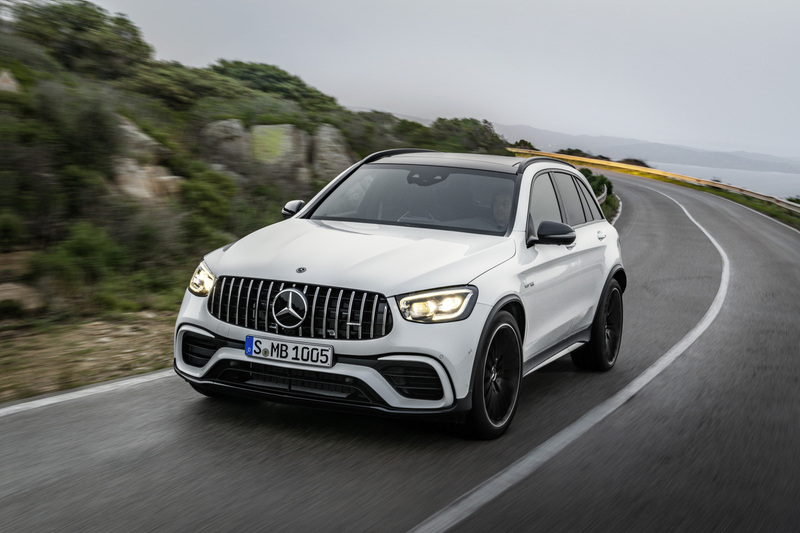 Top Line: Making its debut at the 2019 New York International Auto Show, the hot midsize SUV from Mercedes—a.k.a. the fastest production SUV to lap the Nürburgring—is getting a facelift. What's New: Enhancements made to the 2020 GLC 63 are largely cosmetic. New, more squared-off headlights make the mid-size crossover look more like its GLE big brother, while the taillights have also been tweaked to look more modern and robust. A fresh set of 21-inch wheels, different exhaust tips, and a new Graphite Grey Metallic paint option round out the exterior updates for the new year. Inside, AMG's refreshed crossover gets Merc's dual-screen MBUX instrument-and-infotainment system as well as a new steering wheel. The new tech offerings bring the crossover up to date with its newer brethren, and should appeal to a younger, more tech-savvy audience. For 2020, an electronically-controlled locking differential is now standard on all GLC 63's while a "Slippery" drive mode has been added to the car's selection of programmed personas. 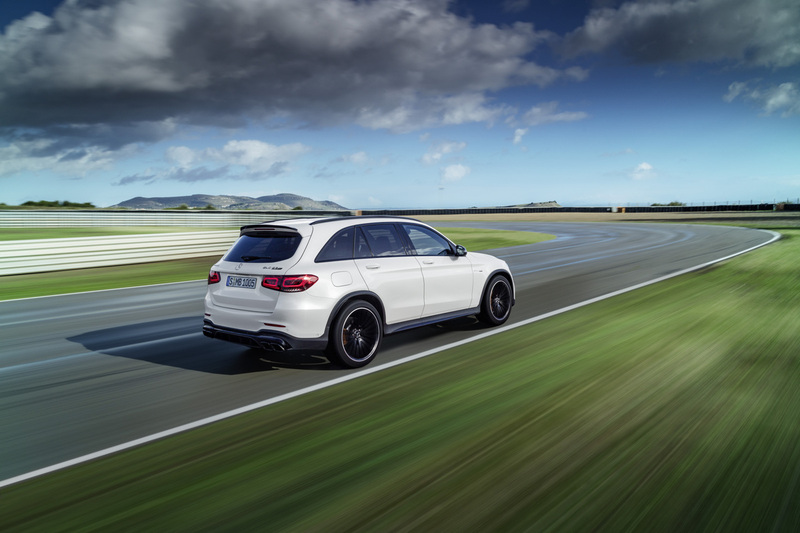 Quotable: "The lap record on the North Loop has proven to impressive effect that the GLC 63 is right at the top of its segment in terms of vehicle dynamics," said AMG boss Tobias Moers. "With our V-8 bi-turbo, we hold a decisive USP in the competitive environment. With AMG DYNAMICS we were able to hone the vehicle dynamics even more and also further increase the suitability for everyday use and the connectivity with MBUX. This makes the GLC 63 an all-rounder for every occasion." 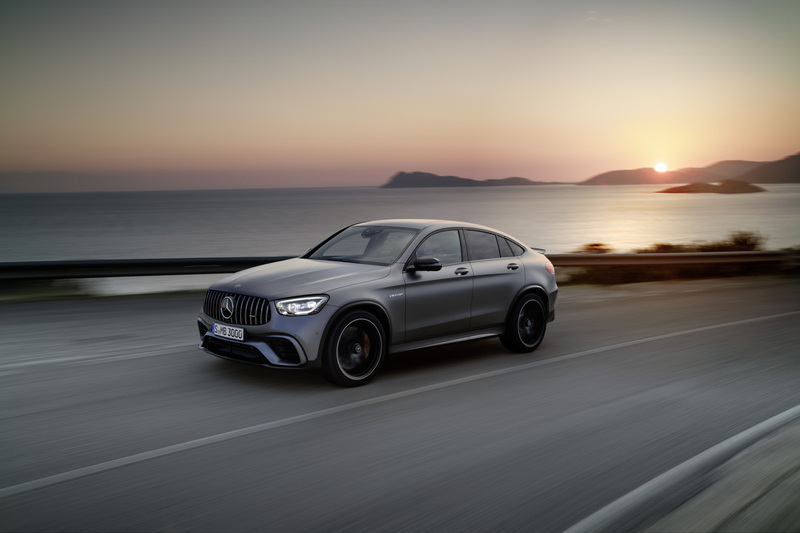 What You Need to Know: The 2020 Mercedes-AMG GLC 63 and 63 S are available in the slopier Coupe body style in case you like your high-performance SUVs to resemble the Hunchback of Notre Dame. Under-the-hood hardware goes unchanged for this mid-cycle refresh. The 4.0-liter bi-turbo V-8 (the only twin-turbo V-8 to be offered in this class, by the way) makes 503 horsepower in the GLC 63 S and 469 hp in the 63. Power travels to all four wheels via a nine-speed, dual-clutch gearbox in both versions. The S gets from zero to 60 in just 3.6 seconds and is limited to 174 miles per hour while the non-S model isn't far behind clocking in at 3.8 seconds and tops out at 155 mph. Air suspension with adaptive dampers, the aforementioned locking diff, torque vectoring, ceramic brakes, and dynamic engine mounts help it bully its way around a track.